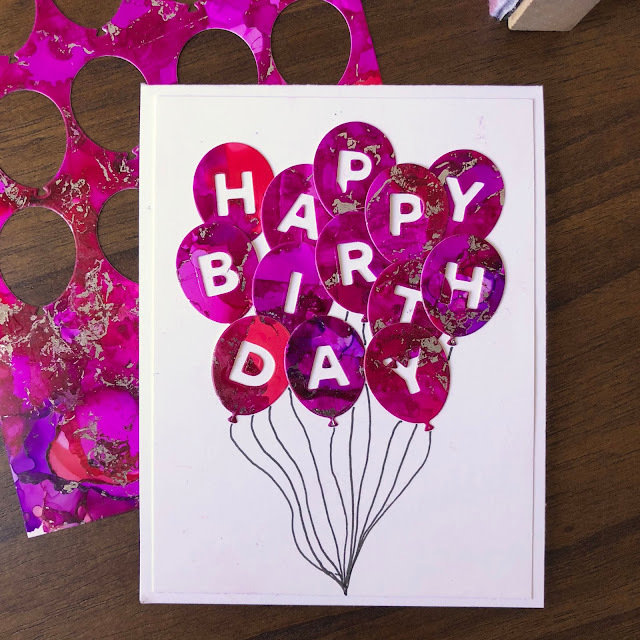 Justine's Cardmaking: Alcohol Ink Balloon Birthday Card! 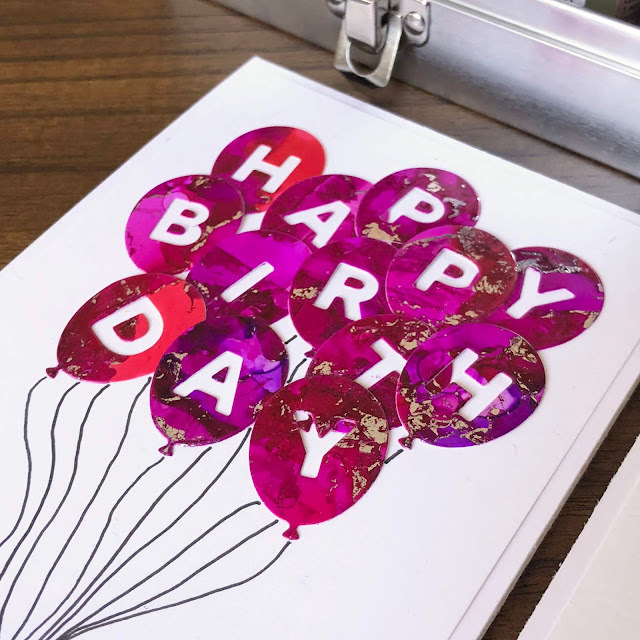 Alcohol Ink Balloon Birthday Card! I'm up on the My Favorite Things YouTube channel with this fun creation! You can check out the video here! I created an alcohol ink background using pinks and purples. I let it almost dry so I was able to put foil overtop for some extra shine! I die cut the panel using the Balloon Alphabet die set! I added in the strings with a fineliner.